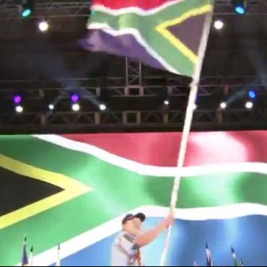 For 100 years adult volunteers have been doing their best to empower Cubs in the Scouting Movement. 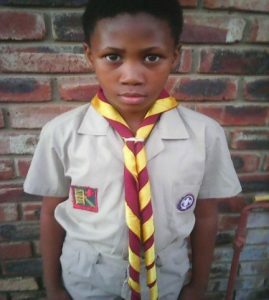 We spoke to Moeletsi Sekano (10) from 5th Ikageng Cub Pack in the North West. Cubbing is fun because there are many things we learn from Akela, like how to be a good child towards our parents. My best experience was when we were attending the summer camp, it was fun because it was my first camp. The weirdest thing I ate outdoors were Marshmallows at the camp fire. The toughest challenge was when I had to adjust to being a Cub because I am an introvert and can’t make friends very easily. The most amazing place we visited was the cinema, it was so much fun and the movie was also very fun. After the movie we went to have lunch. I taught my dad how to make the Chinese paper lantern, it was so beautiful I wanted to teach everyone. Being patient with children and someone who is fun to be around. Our Akela is special because she is always smiling and has something fun for us to do. Cubbing Rocks because … it takes us places we have never been before.